How many times have you waited for the garage door to close, only to have it go back up once it reaches the bottom? Try one of these troubleshooting strategies to put a stop to this maddening problem. 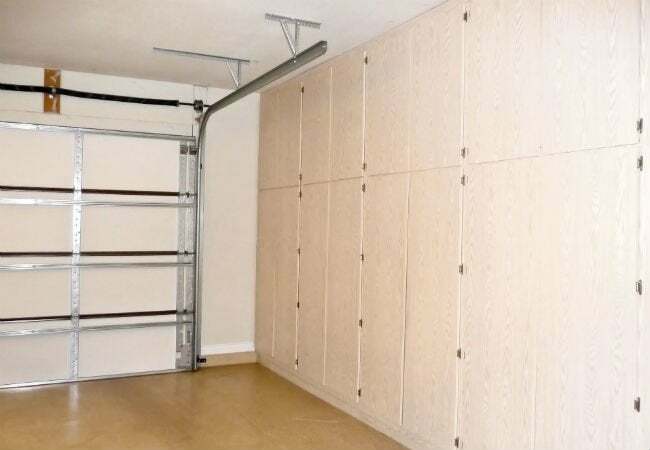 Garage doors sometimes seem to have a mind of their own, often deciding when—and how far—they want to open or close. Sometimes the fix can be as simple as replacing the batteries in the opener, and other times a finicky door may be the sign of a bigger issue. Although some repairs, such as replacing springs or altering the track, should be performed only by a professional, there are a few troubleshooting tricks you can tackle on your own before consulting an expert. Here are a few ways you can combat common garage door issues to keep your home safe and secure. Clutter or obstructions that block the sensor are the first problems to look for if your door won’t close or, in extreme cases, open at all. 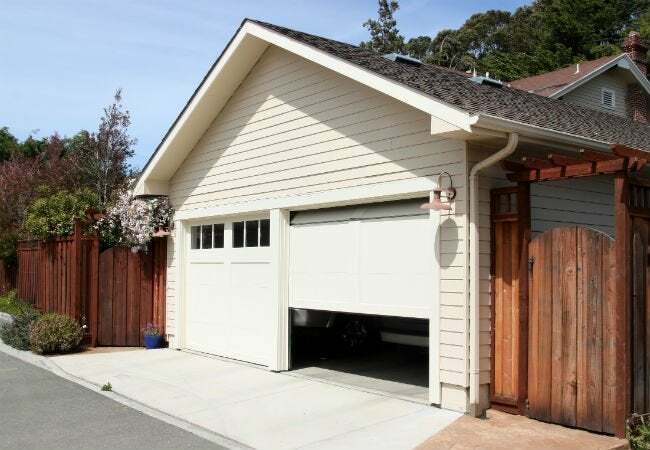 First, check the sensor lights: Depending on the brand of garage door you have, one of the sensor lights may flash, dim, or go out completely when the beam is interrupted. 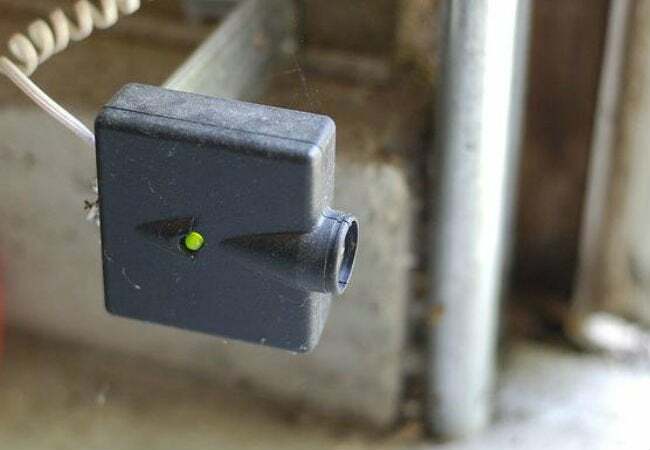 Even if nothing seems to be in the way, consider giving the eyes of the sensors a good cleaning, as oftentimes dirt, debris, or even spiders that have made themselves at home can interrupt the beam and stop the door from operating. 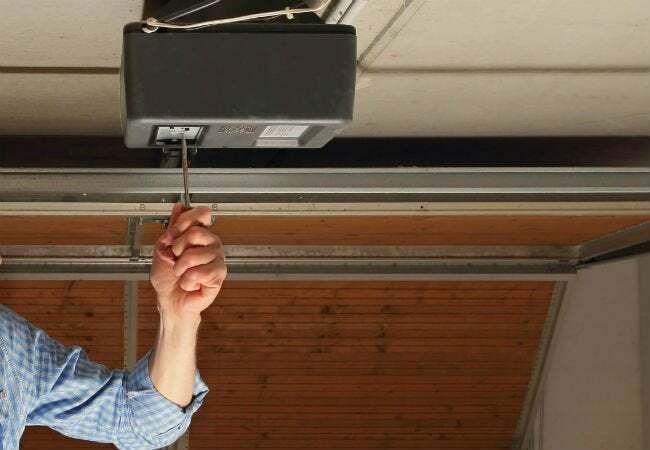 If the door still won’t stay shut, double-check that the sensors are aligned with each other; if they aren’t, gently bend them to restore a clear connection—and secure a clean escape from your garage. If you’ve checked the sensor eyes and alignment and the door still won’t work properly, the open and close limits could be to blame. These settings—also referred to as travel limits—tell the opener how far the door should travel before it’s fully closed and help prevent the door from crushing objects in its path. When the settings are too high, the door senses the floor as an obstruction and immediately opens again after closing. The good news is, this can be easily adjusted with a screwdriver and a few measurements. For specific instructions, consult your manual or the website of the door manufacturer so you can stop the sporadic madness once and for all. Keeping the garage door closed is important to home security, so life can become pretty stressful when that door can’t seem to stay shut. In your efforts to get your home safely sealed up again, you may need to turn your attention to the garage door’s track and rollers; improper maintenance can cause these components to malfunction. Set the problem straight by first cleaning the metal rollers with a toothbrush to remove any grime, and then lubricating them with a non-silicon-based product like motor oil. (If your door has nylon rollers, lubricate only the bearings.) Next, clean the tracks with a cloth and brake oil, removing any buildup that may be preventing the door from operating properly. If that doesn’t do the trick, it’s a good idea to consult a pro before attempting any extensive DIY repairs on your own.